Peruvian authorities say bandits have attacked an Amazon tourist boat and robbed more than two dozen tourists from the U.S., Australia and New Zealand. 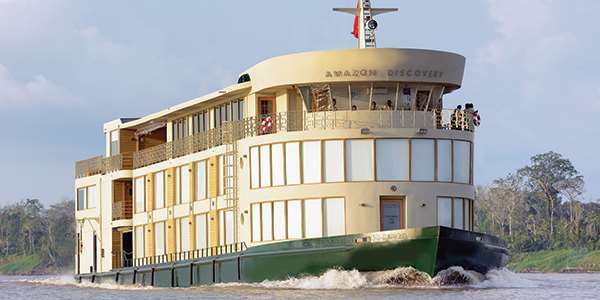 He says the attackers used a small craft to reach the Amazon Discovery, operated by Peruvian company Delfin Amazon Cruises in conjunction with , boarded it and then robbed passengers and crew of goods worth about $20,000 early Thursday. After attacks on Aqua Expedition vessels in 2009, armed security officers were placed aboard each departure.